﻿ Where should I relocate a trapped opossum? If you have one or more opossums living on your property or within your home, you will want to deal with the issue as quickly as possible. One of the most humane methods to eradicate opossums is trapping and relocating them. For many people, trapping is the easy part. You simply set the trap in a location where the opossum is known to frequent and use bait that will attract the animal. Pretty soon you will have trapped the animal, but what do you do now? Relocating is not as simple as it sounds. You can’t just take the opossum any place and drop it off. You need to consider several things, and you may want to get the advice of a professional wildlife removal specialist. One thing you must consider is the distance you should take the opossum from your house. If you drop it off at a location that is too close, they will find their way back to the familiar setting of your home and you will have the exact same problem on your hands once again. There also may be regulations in place where you live that could affect where you are allowed to release the captured opossum. If you release an opossum in a new surrounding that has many natural predators, the opossum has very little chance of survival. 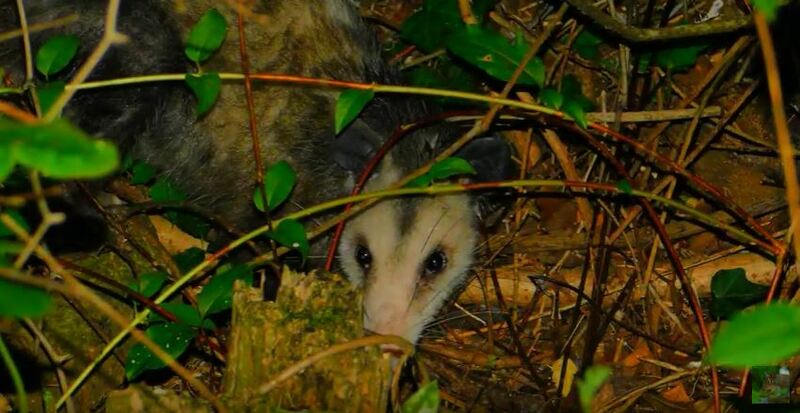 Opossums are very territorial, but when dropped into a new place they may be seen as easy targets and will be killed off before they have a chance to establish their habitat. If there is not enough food available in the area where the opossum is relocated, this could also be a death sentence for the animal. Many people have good intentions when relocating the animal, thinking they are doing the humane thing; however, if these types of factors are not considered, they are actually being inhumane and causing the animal suffering. Instead of relocating the opossums, you can try other alternatives as control options. Once you determine where the opossums are entering into the house, you may try to use a one way exclusion funnel to get the animals out of the house and prevent their return. Seal any holes that you may find in the structures on your property. Prune the branches which may lead to the roof. You can also place a fence around the property to keep opossums and other animals out. Go back to the How to Get Rid of Opossums page or email us if you have any other questions about Where should I relocate a trapped opossum?